These pieces are designed out of a stainable resin. Once stained, they have the beautiful finish that you would get from a wood product. Be sure to look at some of the completed installation photos linked below...and be prepared to be impressed! These resin products are fully stainable (or painted/faux finished). 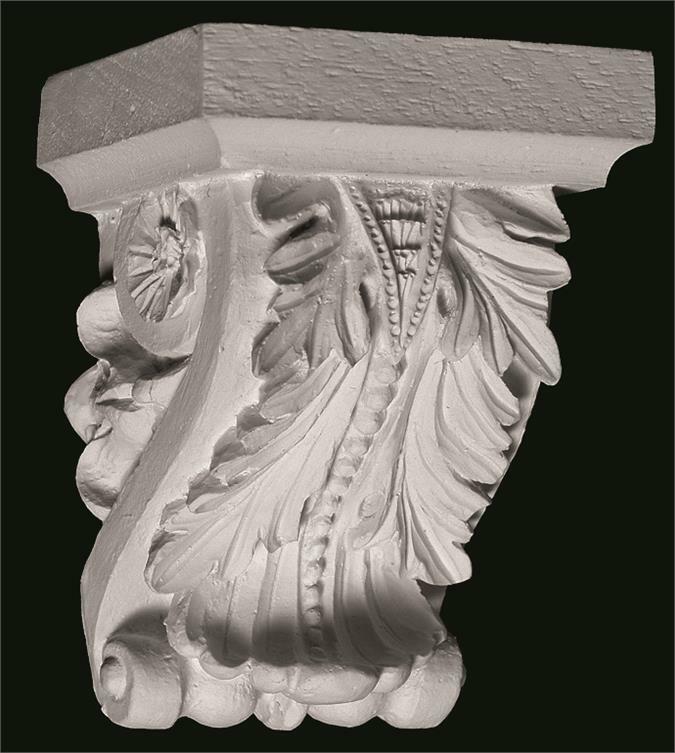 They are cast from heavy-duty polymers with molds made from actual carvings with wood grain impressions to give you all the beauty of a stained wood finish, but at half the cost of carved wood. Unlike natural wood, cast resins will not absorb moisture, dry out, crack, rot, warp, and are impervious to insects. The return policy for our stainable resin collection is different than on most of our products since these are manufactured to your order. For returns the customer will be responsible for the original shipping, the return shipping, and a 25% restocking fee so please take advantage of the information provided in the links below to assist you in deciding which pieces to order.